Over the next few months we are offering a series of short course and workshops exploring various aspects of analogue photography. This 3 hour hands on workshop will teach you the basics of printing your own black and white images in a traditional darkroom. Learn about the different types of paper, how to produce and use test-strips, cropping and contrast control. Bring your own black and white negatives if you have any, if not some will be available for you to use. 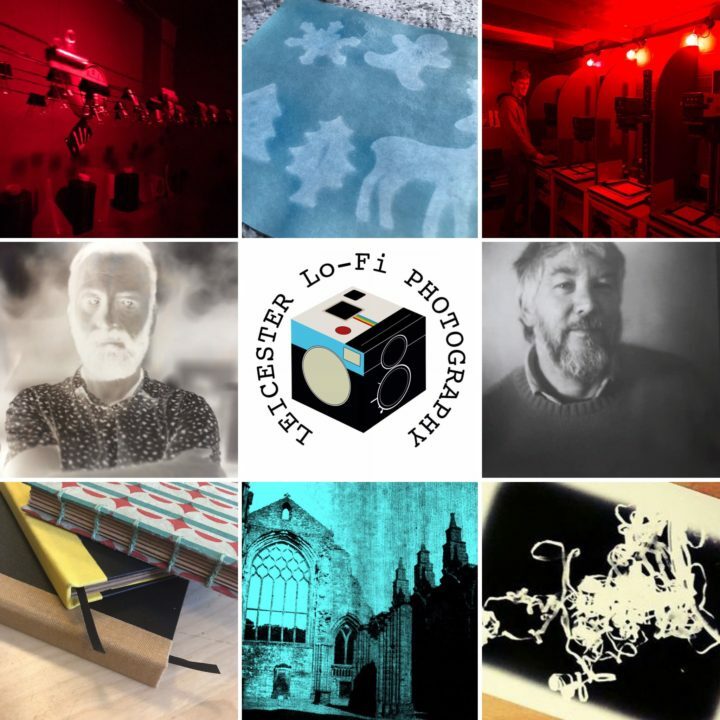 In this 2-week workshop, we will get you making your own individual and unique, one of a kind Christmas cards, we will show you how to produce photograms in the darkroom, and then use toners to tint them blue (optional) for you to attach to blank cards. Produce black and white images in the darkroom without using negative from a camera. We will explore multi layered contact and projected image techniques, and combining them with hand drawn elements. Use several different toning techniques to produce artistic colour tints to your images. This would go well with anyone who has done the previous sessions, bring along your prints to play with. All chemicals provided, bring your own prints. Using our large format cameras, produce 5×4 negatives in the studio. We will show you how to use the camera and studio equipment as well as processing your film and making contact prints. All materials provided, but if you have any special papers you would like to include please feel free to bring them along.